A region in the southwest of Scotland, Dumfries and Galloway has a long and violent history. Part of the "debateable land", the border territory between Scotland and England, up until the 18th century it was an area marked by anarchy, with local families from both sides warring in eternal "blood feuds" with each other. The stark and mighty castles that pepper these savage-green lowland hills stand as a testament to this troubled past, and castles like Threave and Caerlaverock should be a high priority on any sightseeing list. The landscape, wild and beautiful, teems with snaking rivers and boggy floodplains; great woodbegirt glens flank the lush fields full of grazing sheep and cattle, making it the perfect place for a hiking holiday. So whether you're banana-boating on Loch Ken, enjoying a pint of local bitter at an old coach inn or walking besides the crenulated battlements of a castle on a hill, you will fall in love with this bewitching region. The best places to stay in Dumfries and Galloway will ensure that you do! Check out Caerlaverock Castle, a 13th century moated medieval fortress, only 11km from Dumfries! Walk the famous Southern Upland Way, a hiking route snaking through the gorgeous hills and valleys. Stroll around the foodie market-town Castle Douglas and enjoy the variety of butchers, bakers and grocers! Head to Loch Ken for a spot of banana boating! Go birdwatching in the Glenkens and try and spot a Red kite. For a bite to eat, be sure to check out the award-winning pub, The Clachan, a beautiful old-fashioned old pub in the little town of Dalry! It is a favourite of McFly's frontman, Tom Fletcher! Spellbindingly beautiful and wreathed in savage mystery, Dumfries and Galloway is the perfect place to go for a romantic weekend away or a hiking holiday. 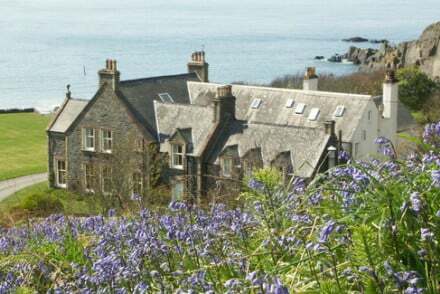 Find out more by checking out our collection of the best places to stay in Dumfries and Galloway! Three Glens: amazing value for money. A gorgeously renovated farmhouse set in stunning rural surroundings, boasting high-tech minimalist rooms with luxury bathrooms and enchanting views. Enjoy breakfast and dinner in the open-plan kitchen, and maybe take some cookery classes! Glenholme Country House: on the outskirts of the picturesque market town of Kircudbright, offering elegant whitewashed rooms with sash windows; there is a cosy fireplace lounge, and homecooked dinners are on offer. Absolutely charming! 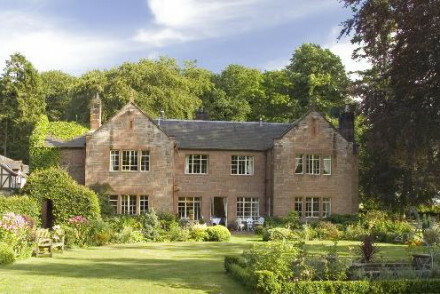 Trigony House: the perfect spot for outdoorsy types, this country house is set on a lovely estate. With its relaxed atmosphere and impeccable service, dogs are allowed and guests can enjoy award-winning local cuisine at the restaurant! 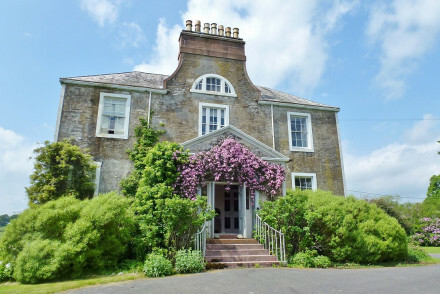 Chipperkyle: a beautiful country house near Castle Douglas, boasting a tennis court, lovely manicured gardens and countless fields sweeping all around. The rooms are elegant, classy and charming, and it is the perfect little rural nest for both couples and hikers alike! Cavens House: gleaming white against the faded green hills, this stunning home offers tasteful and traditional rooms with sash windows and gorgeous furniture. Enjoy the award-winning service and cuisine, and the bountiful activities to be enjoyed in the surrounding area. Knockinaam Lodge: a former hunting lodge with guests including Churchill and Eisenhower, this gorgeous house is steeped in history. With cosy rooms adorned with fireplaces, unspoilt views, over 38 acres to explore and an award-winning Michelin-star restaurant, you can't go wrong! Fly to Glasgow International Airport, from where you can get a train from Central Station or Queen Street Station to Dumfries. The best time to go is during the summer, when the temperature ranges between 10 and 21 degrees. 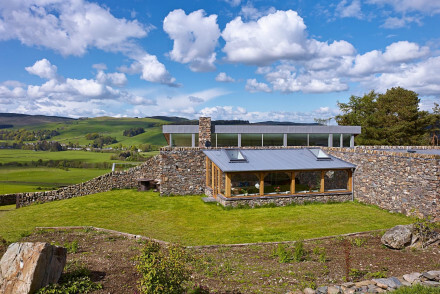 A beautifully constructed eco farmhouse set in a secluded spot on a picturesque farm. Light and airy throughout, the structure mixes traditional building materials with large panes of glass. A high-tech kitchen and indulgent bathrooms, complete with glorious rain showers, are all a real treat. Eco break - A sleek eco house set amidst a farm, ideal for the sustainable consciouse. Great walks - Explore the forests, lochs and waterfalls of the Lowther, Galloway or Moffat hills by foot. Sights nearby - Visit the sculptures at Glenkiln by Henry Moore, Sir Jacob Epstein and Auguste Rodin. Cooking classes - Cookery classes are run in the open plan kitchen using ingredients from the farm. A striking country house set in beautifully manicured gardens. Four elegant rooms feature white-washed walls, high ceilings, four poster beds and sash windows. The cosy lounge is warmed by a roaring fire, home-cooked dinners are offered and there's plenty to explore in the surrounding area. 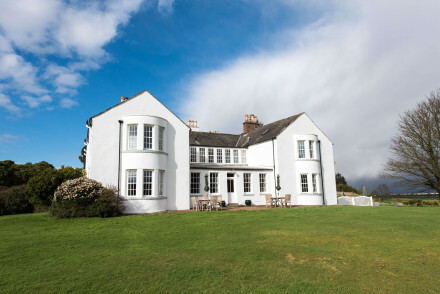 Country Escape - An elegant country house with a warm welcome in one of the most beautiful parts of South West Scotland. Sights nearby - Explore picturesque ruins of castles and abbeys that scatter the local countryside. Great walks - Take long coastal walks stopping at deserted beaches along the way. 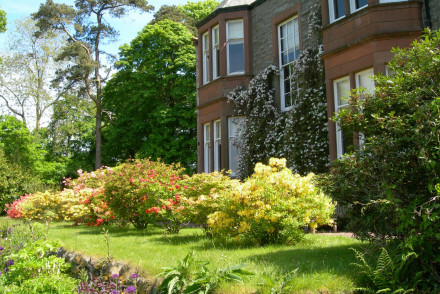 Country house hotel in the heart of Borders country which prides itself on its relaxed atmosphere and friendly service. The situation is brilliant for outdoorsy types and dogs are positively welcomed! A charming country escape with award winning rustic cuisine. Fishing - Both trout and salmon fishing close by. A ghillie can be arranged for the day. Exuding class and charm, Chipperkyle is perfect for a relaxing weekend away in rural Dumfries. Boasting lovely rooms and beautiful surrounding gardens, it's a great choice for those looking to escape the hustle and bustle of city life. Birdwatching - Red Kite trail at the Ken-Dee Marsh Nature Reserve. Sights nearby - Visit the nearby Threave Gardens. Steeped in history, this former hunting lodge has hosted Churchill and Eisenhower. Enjoy unspoilt views of the Scottish coastline from your cosy, warm palleted room, many of which have tiled fireplaces. There are 38 acres to explore and a Michelin star restaurant. Haute cuisine in the highlands! Great walks - Very close to the hotel begins the coastal Southern Upland Way. Galloway Hills & Glenkens also have excellent walking routes. Fishing - The hotel has its own fishing equipment. You can catch everything from cod, salmon to dogfish! Local markets - Art fans will enjoy a visit to Kirkcudbright, otherwise know as the 'Artists Town'.